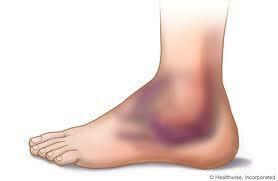 A sprain is an injury to a ligament. A ligament is a thick, tough, fibrous tissue that connects bones together. Commonly injured ligaments are in the ankle, knee, and wrist. The ligaments can be injured by being stretched too far from their normal position. The purpose of having ligaments is to hold your skeleton together in a normal alignment — ligaments prevent abnormal movements. However, when too much force is applied to a ligament, such as in a fall, the ligaments can be stretched or torn; this injury is called a sprain. A strain is an injury to a muscle or tendon. Muscles move your skeleton in an amazing variety of ways. When a muscle contracts it pulls on a tendon, which is in turn connected to your bone. Muscles are made to stretch, but if stretched too far, or if stretched while contracting, an injury called a strain my result. 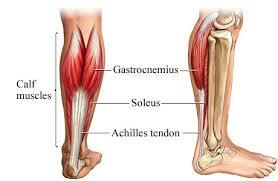 A strain can either be a stretching or tear of the muscle or tendon. As said earlier, a sprain is caused by a ligament being stretched too far. A common sprain is an injury we often call a ‘twisted ankle.’ This injury often occurs in activities such as running, hiking, and basketball. People will fall or step on an uneven surface (in basketball this is often another player’s foot) and roll their foot to the inside. This stretches the ligaments on the outside of the ankle, called the talofibular and calcaenofibular ligaments. Sprains are commonly graded according to the extent of the injury. Grade I and Grade II ankle sprains can usually be treated conservatively with treatments such as icing and physical therapy. Grade III ankle sprains can place individuals at higher risk for permanent ankle instability, and an operation may be a necessary part of treatment. 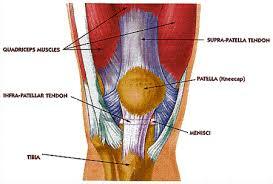 Strains are injuries to muscles or the tendons that attach the muscles to your bones. By pulling too far on a muscle, or by pulling a muscle in one direction while it is contracting (called an ‘eccentric contraction’) in the other direction can cause injuries within the muscle or tendon. 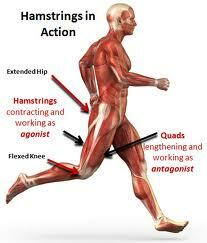 Strains can also be caused by chronic activities that develop an overstretching of the muscle fibers.